Korean boy band ZE:A leader, Moon Jun Young, is joining the cast in KBS’s drama, Poseidon which is in crisis mode due to falling ratings. 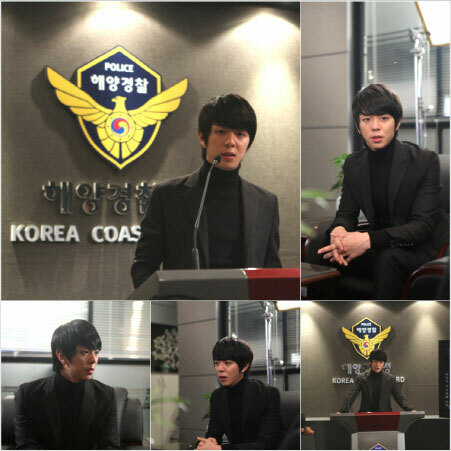 On October 31st, 2011, a represntative from Poseidon production team said, “Moon Jun Young will play the role of Cha Hyun Seung, a member of the special crime team of Japan Maritime Self-Defense Force, on the episode 14 broadcast on November 1st, 2011. This is the first time Jun Young challenge acting. Moon Jung Young who plays the character of Cha Hyun Seung who is chief officer of Japan Coast Guard. As Japan is also investigating gangsters in black society, he is visiting Korea to seek help from Cost Guard Investigation 9 to find Kang Eun Chul (played by U-Know Jung Ho) who disappeared suddenly without reason. This cause the appearance of new character Cha Hyun Seung. Many fans have been looking forward to the episode. Moon Jun Young left a deep impression with his smart suit during the recent filming at the set in Paju of Gyeonggi Province and Song do in Incheon city, and he completed the shooting perfectly. During filming, Moon Jung Young was very polity to senior actors and crew members. Choi Si Won and Lee Sung Jae especially welcomed him energetically. Choi Si Won who is a idol himself has became a senior and gave Moon Jung Young lots of advice and developed comfortable atmosphere. The joing of Moon Jung Young is expected to add in vitality to Poseidon which has constantly ranked last in the ratings.